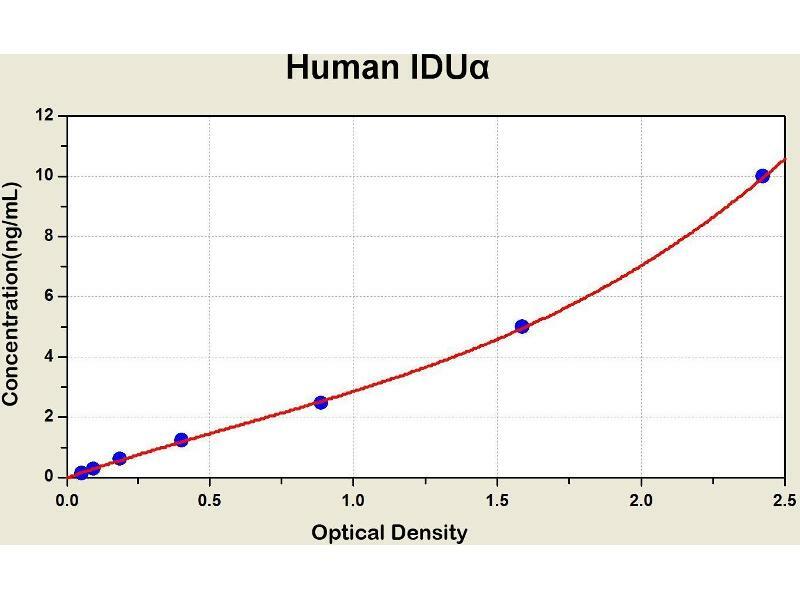 Diagramm of the ELISA kit to detect Human 1 DUalphawith the optical density on the x-axis and the concentration on the y-axis. 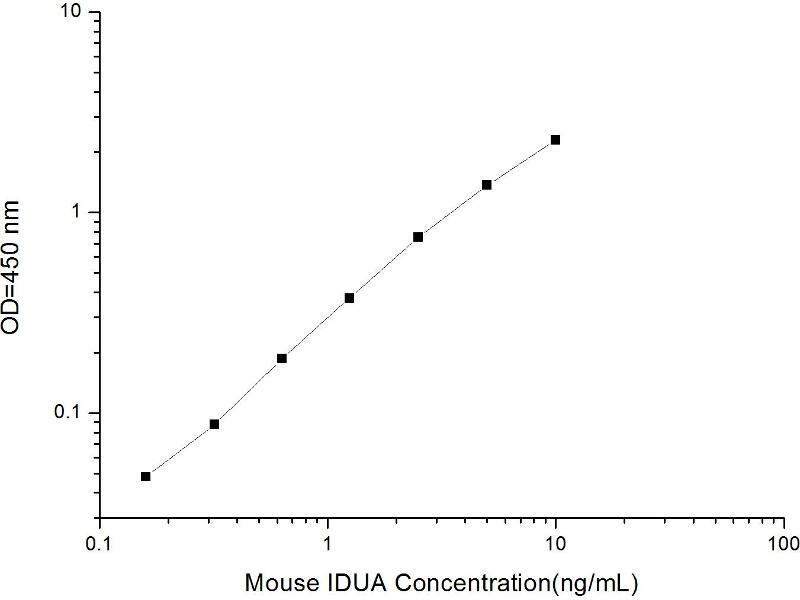 This gene encodes an enzyme that hydrolyzes the terminal alpha-L-iduronic acid residues of two glycosaminoglycans, dermatan sulfate and heparan sulfate. 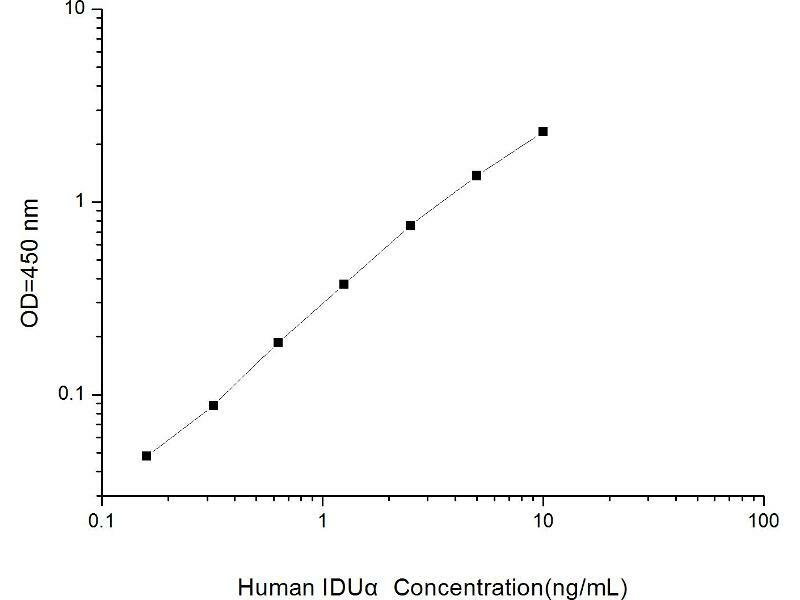 This hydrolysis is required for the lysosomal degradation of these glycosaminoglycans. Mutations in this gene that result in enzymatic deficiency lead to the autosomal recessive disease mucopolysaccharidosis type I (MPS I).